This gorgeous supersoft jumper is by Wyse London, a funky indie brand that specialises in cool cuffs, eye-catching motifs and glittery elbow patches. It’s available at the-bias-cut.com, an online boutique committed to the concept of ‘ageless’ fashion, happily using its own non-model customers to sell its products, and including in its website navigation searches based on hiding or revealing certain areas – surely where the future lies now that 50 year olds shop in TopShop and 20 year olds head to John Lewis. So got a part of you that you’d rather downplay (err, yes! ), or an attribute you’re happier to flaunt? Check out the clever filter system on the-bias-cut.com website and choose to play to your strengths. Debbie, over at Muddy Surrey recently met the brains behind the boutique, lovely Jacynth Bassett at a pop-up in Hove. 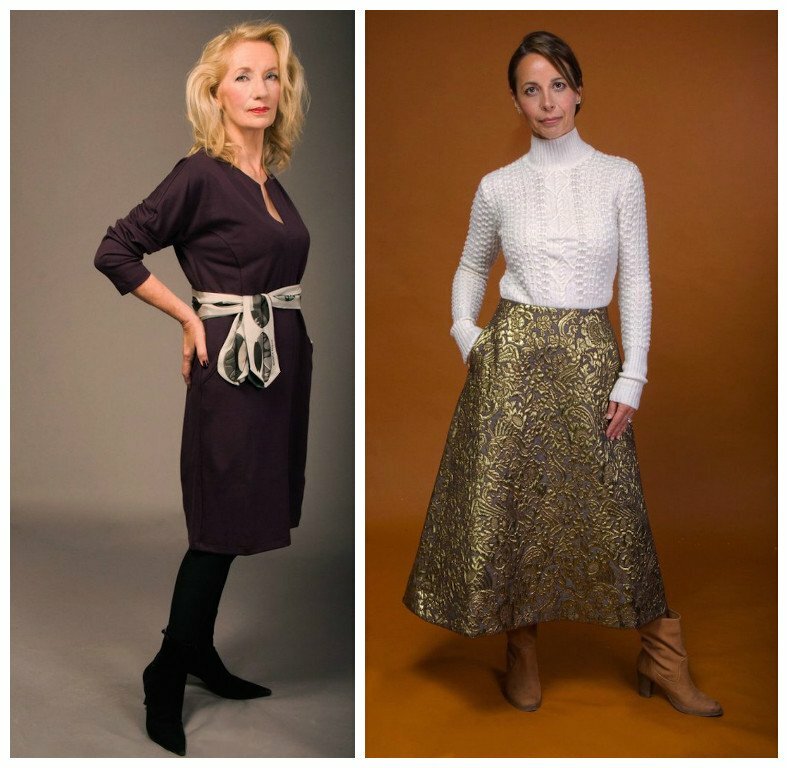 It’s aimed at over 40s not by patronising us with safe styles but by curating some lovely pieces from across a range of labels that tick the boxes of what real women have told the founder they’re looking for. 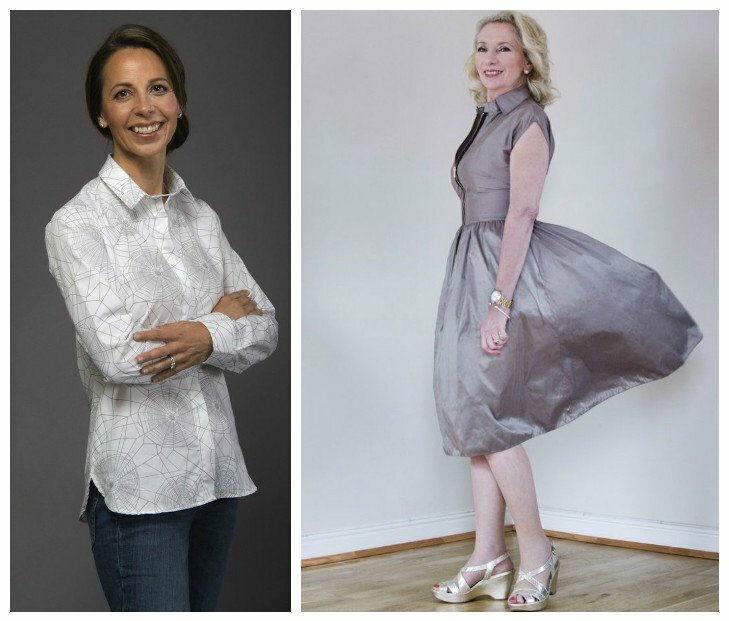 To further help, the models on the site are the-bias-cut.com customers (including Jacynth’s mum!) and their height and dress size is provided so you can work out how the look they’re wearing would suit you. Checked out the website – you’ll love the tick system where as well as colour, occassion (business, party etc) and fabric type you can select your body shape… pear (oh yes), petite, curvy etc then choose under another filter to ‘celebrate my….’ Or ‘hide my….’ with options for bottom, waist, legs etc. There’s an assumption that older women feel unhappy with their arms or their décolletage but that isn’t always the case so you do the deciding.